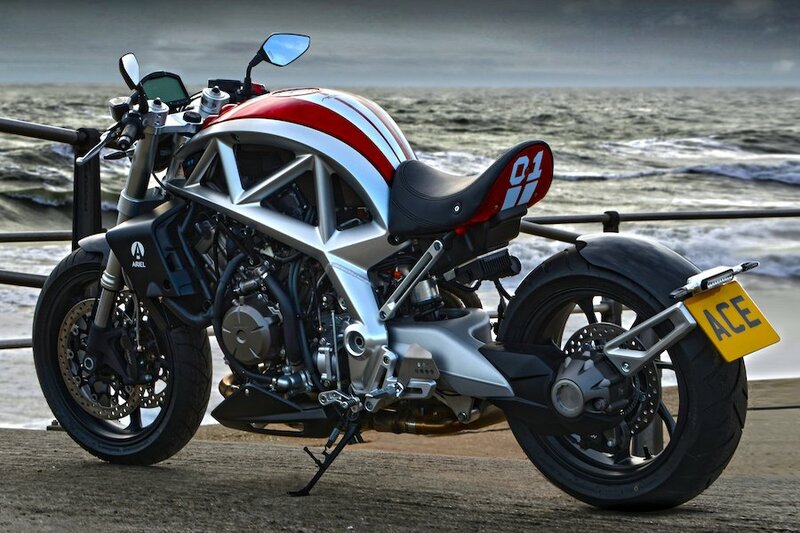 It’s not every day that a company offers a limited-edition model at less than half the price of its bestseller, but that’s what tiny British firm Ariel has done with the latest version of its Honda VFR1200 V4-powered Ace. Just 10 of these motorcycles are going to be built. 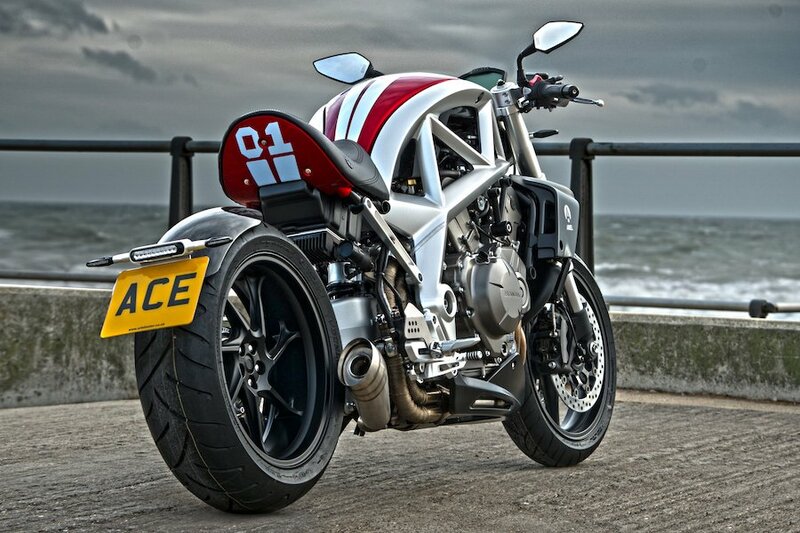 Cost are contained by forgoing the high-end Hossack-style girder front end for standard VFR1200F parts. A stunning single-part frame that’s CNC machined from a single piece of aluminium and comes bolted to a curving bodyline and 1,237cc V4 Unicam Honda engine. The motor, sourced from Honda like Ariel’s road car engines, produces 175hp at 10,000rpm and 131nm of torque at 8,750rpm. Power goes to the back wheel via a six-speed manual sequential gearbox and the manufacturer quotes its 0-60mph time as 2.9 seconds, along with a 165mph top speed. Ariel’s engineers have also given the Ace of Diamonds a new steering head angle of 23.5 degrees, although it can be altered during the build process to suit each customer’s requirements. Buyers can also specify their own colours for the bike’s bodywork and each comes with a unique plaque. Since every bike will be made to order, there’s a fair amount of customisation on offer. 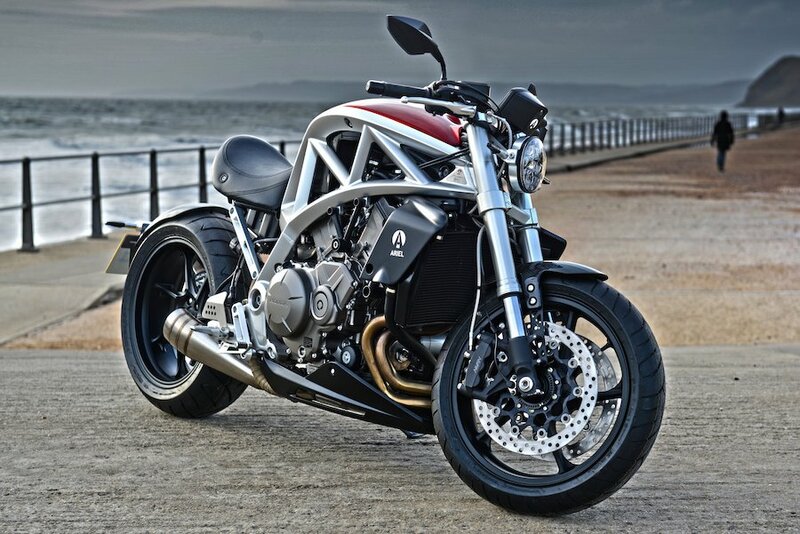 Tom Siebert, Ariel Ace production boss, said “Every bike is tailored to each customer and each of those customers becomes a friend and part of the Ariel family. When we build an Ace it is not a motorcycle, it’s your motorcycle. The Ace of Diamonds is a celebration of both our and our customers’ journey”. Four years on from the launch of the original comes the Ace of Diamonds, selling for $A35,300.